Using a compelling set of tools and exercises designed to promote better social interactions, Leading with Compassion provides a radical shift in how we deal with others. Peppered with amusing and compelling anecdotes, this presentation touches on topics crucial to any business or social relationship, including conflict resolution, compassionate communication, attachment to ideas, and the most effective ways to motivate others. Last year there were one trillion photos taken by more than 2.5 million cell phone cameras. More than ever before, the moments in our lives, good or bad, are preserved forever. We need to realize that any moment can define who we are to our loved ones, our co-workers, or to the world at large. But thinking through our actions means much more than just not getting caught by a camera. In this fascinating presentation, Dr. Conte leads his audience in a thought experiment designed to promote consciousness of our actions and building character, while distinguishing ourselves and our place in the world. “In life, when you know you’re right, it doesn’t matter what everybody else is doing…you do what you know is right! You say what you know is right!” We’ve all seen it and experienced it – those times when fading into the crowd is the easier choice – when doing the right thing or standing alone with confidence in our answers and convictions feels daunting. Being authentic even when those around you aren’t is one of life’s greatest challenges, and also one if its greatest rewards. At a time when there is more pressure than ever to follow the crowd, Dr. Conte’s powerful presentation helps us tap into our confidence, our convictions, and overcome the pressures that promote complacency and indecision. Dr. Christian Conte is one of the country’s most accomplished specialists in compassionate leadership and communications. His prodigious background in mental health and emotional management enables him to bring a unique and compelling perspective to his presentations, as well as valuable tools to leave behind for his audience. A familiar figure on TV and radio, Dr. Conte is also a prolific writer, powerful communicator, and sought-after corporate consultant and trainer. This past television season he co -hosted The Secret Life of Kids on USA Network. He was also the co-host of the reality show Coaching Bad on SpikeTV, and the resident therapist for VH1’s Family Therapy. Dr. Conte’s unique work with professional athletes and college and university Athletic Departments (including the UFC, Pitt, Florida State, and the University of Tennessee) helps them develop better life and emotional management skills, while arming coaches and staff with powerful tools to use in guiding their team members to more successful, trouble-free futures. Dr. Conte was an award-winning tenured professor at the University of Nevada (Reno) before leaving the West Coast to return to his home state of Pennsylvania. He is a Licensed Professional Counselor, and has a Level V Certification in Anger Management. He co-founded a Center in South Lake Tahoe, CA, to work with people convicted of violent crimes, and is the creator of Yield Theory™ – a powerful approach to combining radical compassion with conscious education. His new book on this topic will be published in 2019. 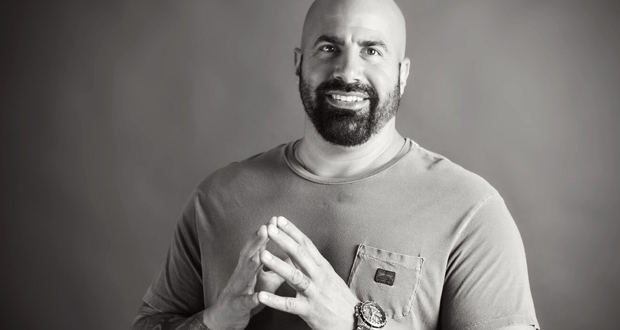 As a corporate educator and trainer, Dr. Conte always brings his unique energy, unquenchable passion, and a tremendous sense of compassion to his efforts to teach people about why they do what they do, and how they can use that knowledge to transform their own lives as well as those around them. Dr. Conte’s methods are proven to improve interpersonal communication, reduce workplace tension and conflict, and increase collaboration and productivity. He is available for executive-level counseling, keynotes, seminars, and workshops. "Seriously one of the best motivational speakers I have ever seen.Wow...you HAVE to see him live.Thank you, Dr. Conte." "Our group thoroughly enjoyed Dr. Conte's engaging and entertaining keynote address. He is able to meld knowledge, experience and a presentation style that is captivating and informative. He received rave reviews from our audience and I would certainly recommend him to other associations or meetings." "I just want to send you a testimonial supporting Dr Christian Conte as a superior speaker/presenter. Dr. Conte has presented at the last three NAMA International Conferences and his talks are consistently outstanding. He exudes a high level of both contentand inspiration in his presentations and is always a highlight of our conferences. Dr. Contehas a positive energy which he transmits to the audience and he is a pleasure to work with as his flexibility and competence aremuch appreciated."